Barry makes rope safety Nets and underslung Helicopter Cargo Net from various braided or twisted rope products, including Dyneema®, Technora®, polypropylene, nylon and other fibers. These are made to meet your exact specifications and reflect the Barry seal of quality. Testing for the advancement and safety of space exploration. Another example of Barry's expertise in decelerating huge masses of energy. 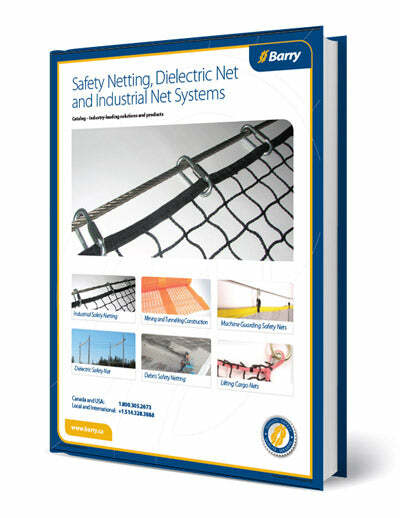 Download our Catalog of Safety Netting, Dielectric Net and Industrial Net Systems.